I saw this on Kaylah's blog a long while back, but fell in love straight away. I thought it'd be quite difficult to do but I was actually wrong! It was simpler than some of the celotape designs I do and a lot more fun/creative. 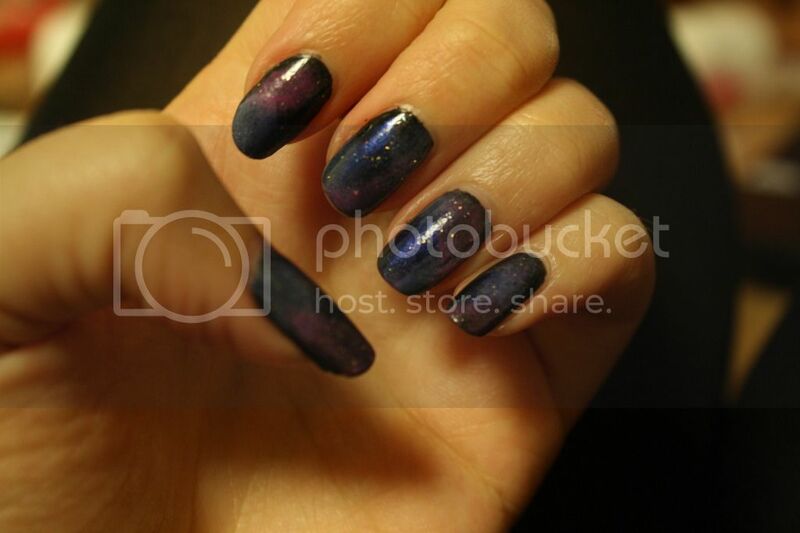 I would do a tutorial of how to do galaxy nails, but Jen over at Polish and Pearls did such a good job, I don't really think mine would be of any use! 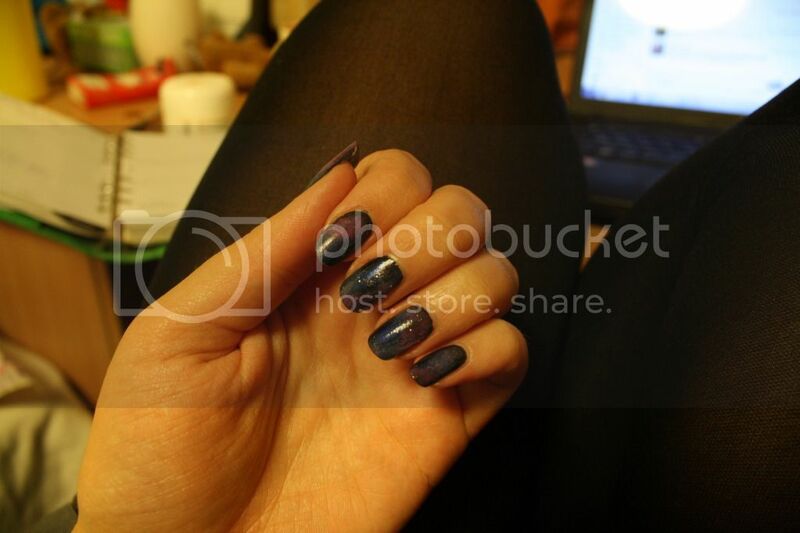 All I would say is that I didn't have as bright a blue as Jen did and it still looks cool, and I only had one type of glittery nail polish - so do what you can with what you have, any which way galaxy nails are cool in my book. Ooh pretty shimmers!!! 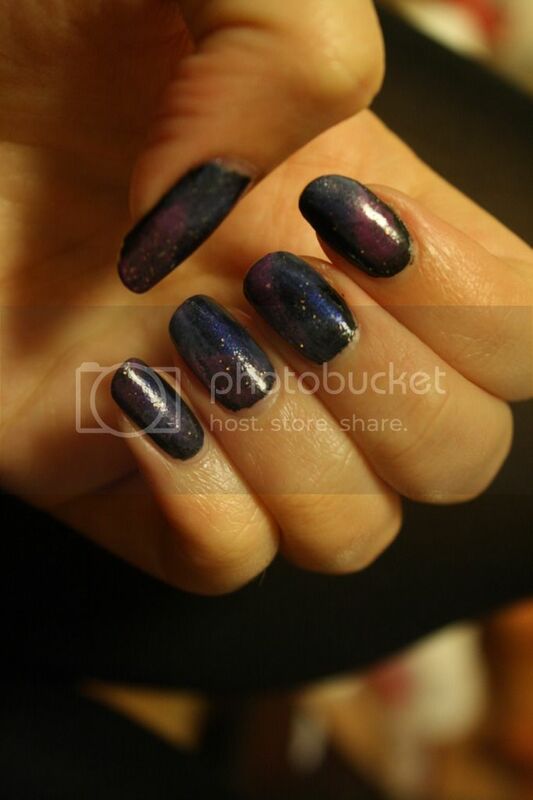 Galaxy nails are the best, whoever came up with this idea deserves a life time achievement award!